Zoo Atlanta– This is my absolute favorite membership. 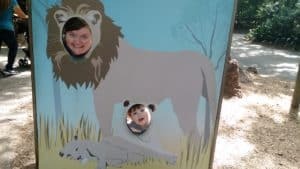 Maybe it’s because of all of the cute animals or maybe it brings up fond childhood memories, but either way I just love going with my family on an outing to the zoo. I also think that this is probably the best bang for your buck. It basically pays for itself in only one visit! Aside from looking at all of the awesome wildlife, the zoo also has a splash pad, train ride, carousel, and playground! Plenty of fun options for everyone! A zoo membership also gets you discounts on food and merchandise. More info here. The Georgia Aquarium– Don’t want to be out in the Georgia heat? Then this is the one for you! Atlanta is home to the world’s largest aquarium- pretty cool! Not only do you get to see tons of awesome sea creatures, but this membership can also get you into some exciting behind the scenes activities. It may be a little pricier than other memberships and the parking certainly isn’t cheap, but it’s totally worth it! More info here. Stone Mountain Park– For people who enjoy the outdoors (like my husband), this is the membership for you. An annual parking pass is only about $40 and grants you access to hike numerous trails, climb the mountain, or play on the main lawn. Plenty of activities to wear out the kiddos 🙂 You can also purchase a “Mountain Membership” which allows you to ride on the Scenic Railroad, take the cable cars up to the top of Stone Mountain, see a show at the 4-D theater, and so much more! Of course the laser show is always a big hit too! More info here. These are just a few of the memberships available around Metro Atlanta. Other favorites include The Botanical Gardens, Fernbank Museum of Natural History, and The Children’s Museum. As we always say, The Peters Company loves to live, work, and PLAY in Atlanta. Let us help you find some fun things to do this summer! ← Just Listed :: Stunning Traditional in Mableton!